In 2008, the Republican presidential nominee, John McCain, was blasting John Mellencamp songs at his rallies, until the musician asked him to stop. McCain stopped playing the songs at his rallies, many of which were taken from Mellencamp’s 2008 album Life, Death, Love and Freedom. Now, the album returns to the spotlight for its 10th anniversary at the musician’s forthcoming solo exhibition at ACA Galleries in New York, which opens on 26 April. The 66-year-old artist and musician may be known for his hit singles like Hurt So Good from the Footloose soundtrack in 1982, his former days as “John Cougar” or for co-founding the Farm Aid benefit concert series with Willie Nelson. 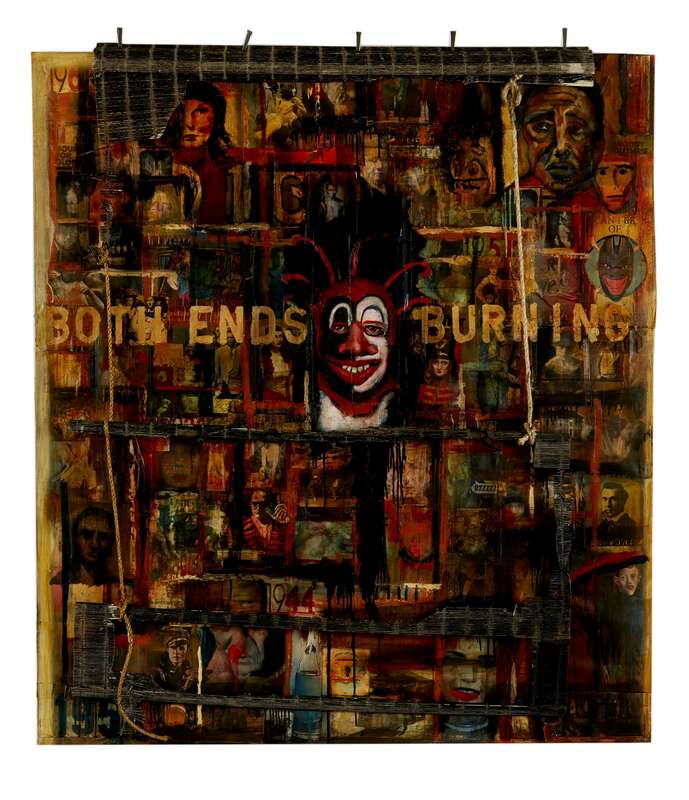 But all along, Mellencamp has fuelled his activism into his paintings. 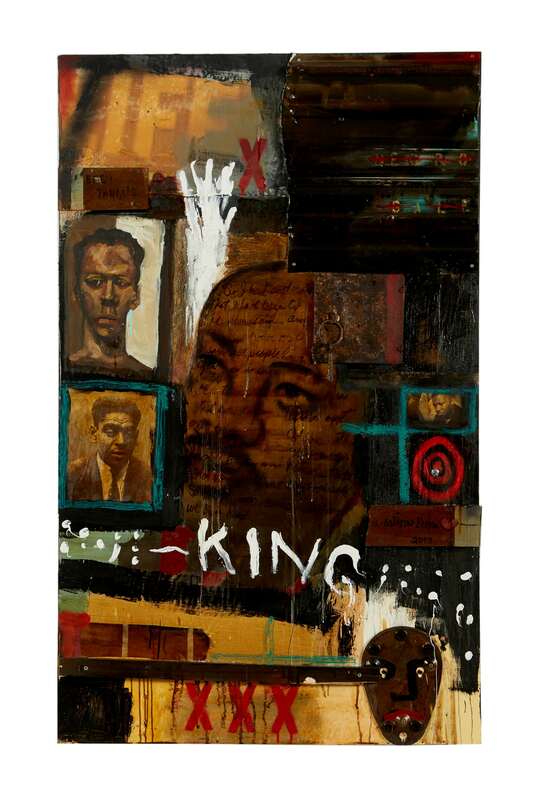 There is one piece in the show called Easy Target, which is a portrait of Martin Luther King. It references a song of the same name Mellencamp wrote last year from his recent album, Sad Clowns & Hillbillies. As one of his most political ballads, Easy Target is a song about Black Lives Matter and gun control in America. As a young artist, Mellencamp first arrived in New York in the 1970s to attend the Art Students League, but got a record deal and went on to make his first album, Chestnut Street Incident, in 1976. His art was left on the sidelines. Mellencamp is influenced by German expressionists such as Otto Dix and Max Beckmann, as well as American figurative painters like Walt Kuhn, Marvin Cherney and Jack Levine. He never thought about showing his art until his friend Bob Dylan saw the hundreds of paintings piling up in his Indiana studio. Dylan suggested that he sell the paintings in an exhibition. After having countless exhibitions in museums and galleries across the country, Mellencamp is known for his portraits of unknown characters and people in his life, like his ex-wife Elaine Irwin, his children and current partner Meg Ryan (one of which is in the Rock & Roll Hall of Fame in Cleveland). Some of the new paintings include Courage, which has a series of dreamy figures wearing top hats and vintage clothing. They’re accompanied by a quote he wrote, which reads: “Courage is when you know you’re licked before you even start and see it through to the end.” It’s like a little reminder to Mellencamp – and perhaps anyone who sees the artwork – to always keep pushing. His melancholic characters do have a spooky feel, and if any artworks were a personification of the blues, this could be it. But does Mellencamp agree? He pauses. “Well, it takes a troubled heart to raise a troubled man,” he said with a bit of a twang in his voice.